BlackBerry has already confirmed it will provide more details of the Mercury at MWC 2017 (Mobile World Congress), but it seems the company may also have another surprise for us at the show. Recent leaks originating from tipster @rquandt show what looks to be a budget BlackBerry phone – codenamed the BBC100-1 – that features lower specs than we’d usually expect from a BlackBerry device. The leak suggests it has a 5.5-inch display, but it’s only 720p so we don’t expect this to be an expensive handset. It also features a Qualcomm Snapdragon 425 chipset – that’s a little used chip we’ve previously seen in the Xiaomi Redmi 4A – as well as 4GB of RAM and 32GB of storage. There’s also a 3,000mAh battery, dual-SIM support, an 8MP selfie camera and the rear has a 13MP shooter. 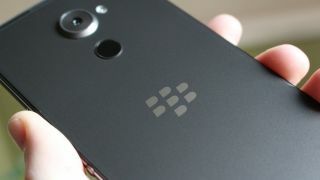 It looks like this phone will be the first project from BlackBerry’s joint BB Merah Putih venture though. That's a software licensing strategy that brings a number of Indonesian companies together to work on new software and services, so this looks like a phone that will be exclusive to emerging markets. We expect this could be announced at MWC 2017 though, which takes place in Barcelona between February 27 and March 2.